This guide will help you install an existing SSL that you may have received from another provider. 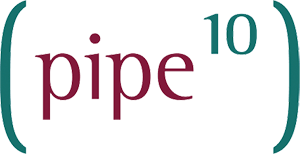 Please ensure the certificate you have received is in the correct format supported by Pipe Ten. You can check this and convert if needed by following this guide. Once you are sure you have the correct format and contents of the certificate, you should be okay to proceed with the installation. 2. Select the domain you wish to Add an existing SSL certificate for. 3. Click the Edit icon in the Web Service field. 4. Click the Import SSL Certificate link. 5. Paste in the Private Key and SSL Certificate and click Submit. Your third-party SSL provider should have supplied you with a Chain Certificate file. This will be required for most sites to appear as secure in the majority of modern browsers. 1. To install a Chain Certificate/Authority, click the Edit Icon in the SSL Support field when still on Web Service. 2. After clicking this icon, you should see numerous labelled text input boxes. You’ll need to be looking for the one labelled Chain Certificate (for Linux) or the one labelled Certificate Authority File (for Windows). Input the text from your file into the box and click Install. You’ll then be told whether the installation was successful or not.